THE OTIUM POST: 2013 Prime directive by Adnan Sakli and 8217 - RIP - Who will save us now? 2013 Prime directive by Adnan Sakli and 8217 - RIP - Who will save us now? Integrity, sovereignty, honesty have gone down the drain in an economic system operated exclusively for the purpose of milking humanity. Nothing is what it seems, no matter where you turn your gaze. What we today call ”The Economy” is nothing more than a badly run casino. Welcome to the rabbit hole where truth is stranger than fiction. As the legal owner of record of the Bank of International Settlements I, Adnan SAKLI orders the immediate termination of all operations of illegal trades and complete shutdown of all operations in relations to the trades in any form or shape. All existing illegal liabilities of all the currencies must be met. In the even they are not met in accords of legal statutes of reporting and confirmation of the positions of the entire Global obligation then the entire operational positions of those nations and their currencies will have no position to be used as a means of exchange. All the European, American, Asian, Central American. South American debts must be accounted for and must be paid in full. All prime system institutions must account for their criminal and illegal operation. The Arab nations will be required to cease and desist there illegal operations of money laundering and make immediate accountability of their debts. All Hedge funds will be required to pay their leverage positions and settle out. In addition to which they must prove their leverage capability in liquid funds that are not insolvent. All court orders in relations to any monitory compensation must have a liquid rightful operational confirmed ownership to make them viable and legally worth correct. All mergers and acquisitions of and financial and major corporations must prove the rightful authority and compensation to the owner of the transaction that is causing effect. All internationally corporate dividend payments need to be confirmed and all tax returns are to be validated as being received by the legal owner and that would be in reference to 8217 and 8216. To date no tax return payments have been received and in the event the returns were paid and collected it would be required to find out who has collected private funds belonging to Adnan Sakli and 8217. That person or persons are to be charged and criminally prosecuted for theft of international assets. All the positions of U.N., Needs to be reported directly to Adnan Sakli. All accounts and transaction must have wet signatures that are confirmed by the bank attorney. All Mandates, Powers of Attorneys, and any legal document that represents the rights of Adnan Sakli and 8217 or 8216 are cancelled and to be deemed fraudulent. All transactions attached are to be cancelled. Panther continental has committed fraud and hence not valid in the representation internationally. All the operations done under the NATO authority are cancelled. Until the existing debts are settled all international transactions of any kind are cancelled. All USD, Euro. Sterling deals are to be deemed as Non valid. Until such time as the liabilities are met. The prime system will remain closed until the obligations are met. 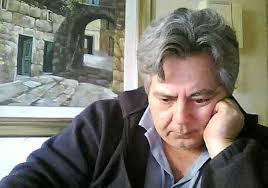 Adnan Sakli was the only investor who owned sufficient ´real wealth´ to save the world economy when it was about to crash in 2008. He then became the the legal owner of record of the Bank of International Settlements and the ONLY signatory. On the 14th of February 2013 he wrote this Prime Directive with the intention of clearing the world of all illegal and criminal financial transactions,and by so doing, releasing the people of the world of their debt,allowing them a new start. Adnan Sakli died the following year under suspicious circumstances in a Spanish hotel room. All his documents and accounts were blocked by the CIA and no one knows what became of his fortune. The same oligarchs who caused the huge financial bubbles, which once more is about to burst, are now having a secret meeting in the Austrian alps to conjure up new disasters for the world ´s population in order to save their illegally gotten gains through more trickery and criminality through the small print of the proposed TTIP free-trade agreement. This Bilderberg Group must be stopped from passing their enormous debt onto Europe.